One of our main science units this year was teaching the states of matter. This is always an engaging unit since we live in Colorado and tend to see all three outside during the winter months! Since many of my students were familiar with the names of the three states, we delved a bit deeper into the atom arrangement and the changes from one state to another. We got the chance to get up and move and celebrated at the end with a sweet treat! We also used my newest flipbook along the way to track our learning. I am a huge fan of BrainPOP, Jr. and we used their Solids, Liquids, Gases video to help us launch this unit. 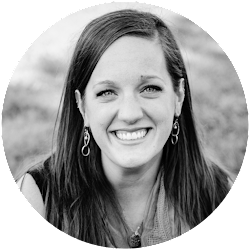 You don't need this video to complete the lapbook, but if you do have access, it's worth a viewing. I arranged the pages into packets for the students. I didn't want them losing a page as we went, so the staples were an important part. We went through the flipbook in order, with the exception of the molecule arrangement, which I will get to in the next part. In order to fill out the information, we used the facts found in the BrainPOP, Jr. video, some district texts, and others that I link to below. We added the atom stickers last before we assembled. These are just the multi-colored dot stickers you can get in packets of 1000+, so you'll have them for many years to come! I gave out 20 to each student: 10 red, 7 blue, and 3 green. I did this to help them capture how the atoms would look and make it a bit more organized visually. Assembling this book is easy-- simply cut along the marked lines on each page, stack them so that each tab below is visible, and staple on the marked top margin. Voila! 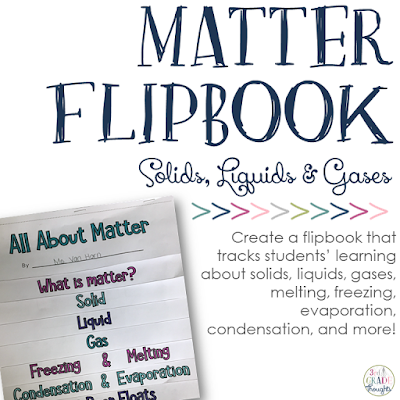 Your States of Matter Flipbook is made! I found information from our district curriculum, but there are a wide variety of books that are available in a variety of levels. 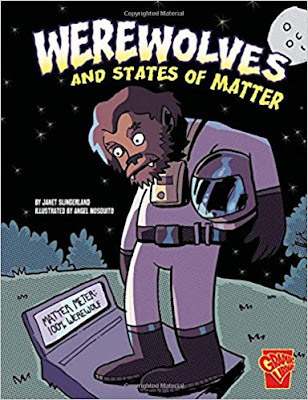 My two most-favorite are Werewolves and States of Matter (please go check this book out-- it's a hoot!) 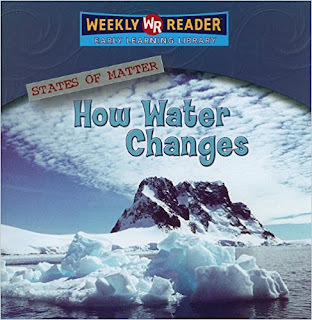 and Weekly Reader's States of Matter: How Water Changes (also available in Spanish). Find and preview this book (it's fantastic!) on Amazon HERE. Find this on Amazon HERE or in Spanish HERE. I mentioned above that the students completed the atom stickers last. I wanted them to be able to engage a bit with what atoms did inside a solid, liquid, and gas, so we played the "Get Up and Atom Game" and it was a hit! I began with all of my students standing on just half of our classroom rug. They had to squeeze in to fit, and I had them place their hands at their sides to squish in even more. Several complained that they could barely move, and that was perfect, since this was imitating atoms in a solid! Once we were as compact as could be, I opened up the rest of our classroom carpet and meeting area and invited them to move around. They couldn't go too fast, since the area was not huge, but they were much more comfortable and could move freely, just like the atoms in a liquid they were mimicking. For the final phase of matter, I opened up the entire classroom and the could move faster and spread out more, just like the atoms in a gas. 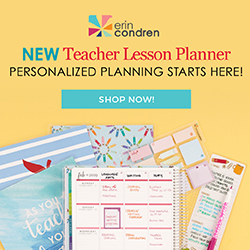 After they had the initial movements and placements down, I could include transitioning from one phase to another, including the vocabulary of melting, freezing, condensation and evaporation for added practice. The final step of this States of Matter flipbook unit was to have a mini-party to celebrate. We made the ever-popular root beer floats and drew our observations on the included page, labeling the solid, liquid, and gas that we saw. 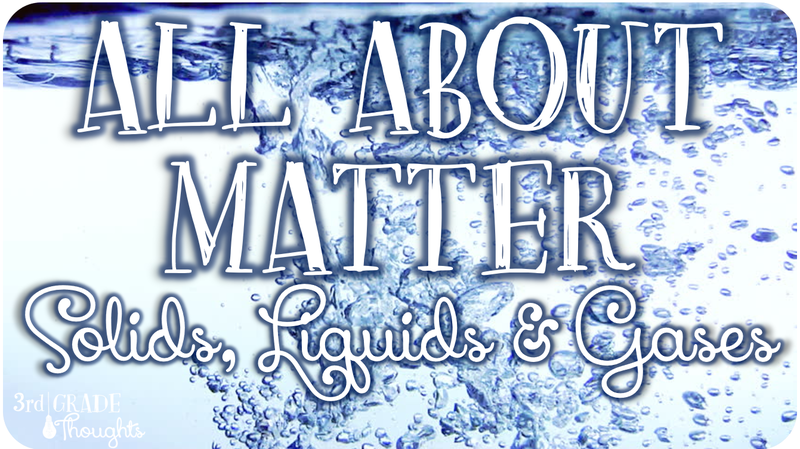 Hint: Try to serve these in clear cups so kids can see all three states of matter at one time. There is an assessment included in this packet that I used as a data point for our report cards. The key is also included and the questions involve matching, sorting, labeling, multiple choice, and true/false. 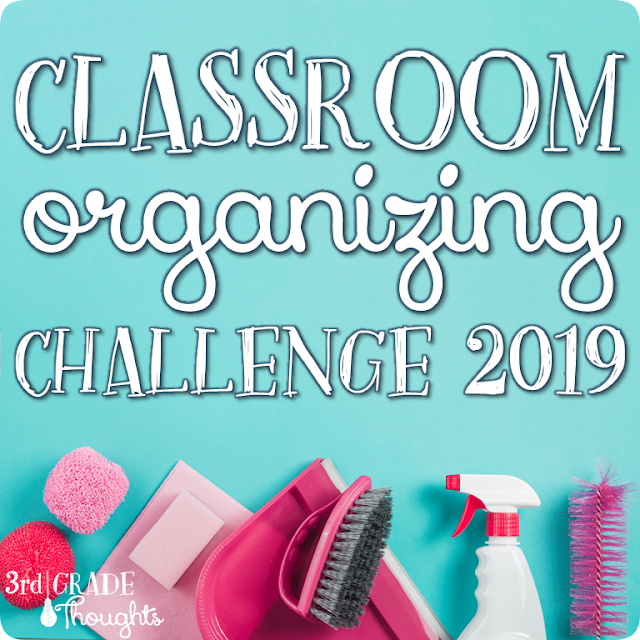 All in all, this was such a fun unit and I was so impressed with the work my students did to demonstrate their knowledge in a variety of ways! 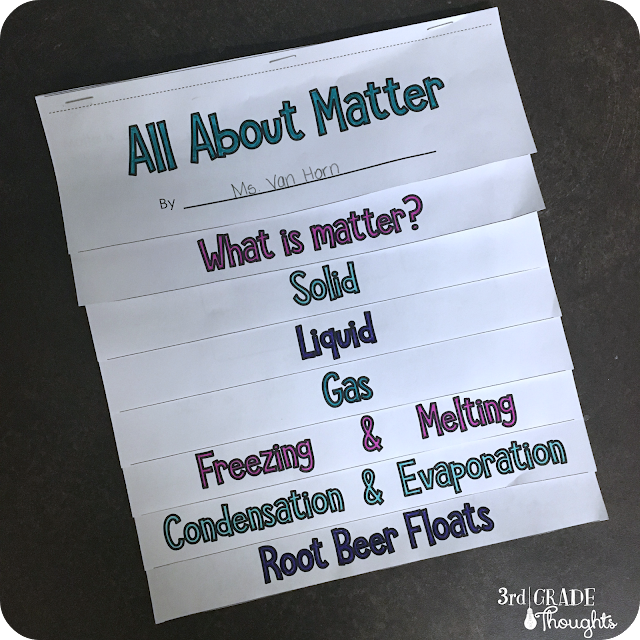 Check out this packet in my TpT Store HERE and let me know of any other fun ways you like to teach states of matter in the comments below.